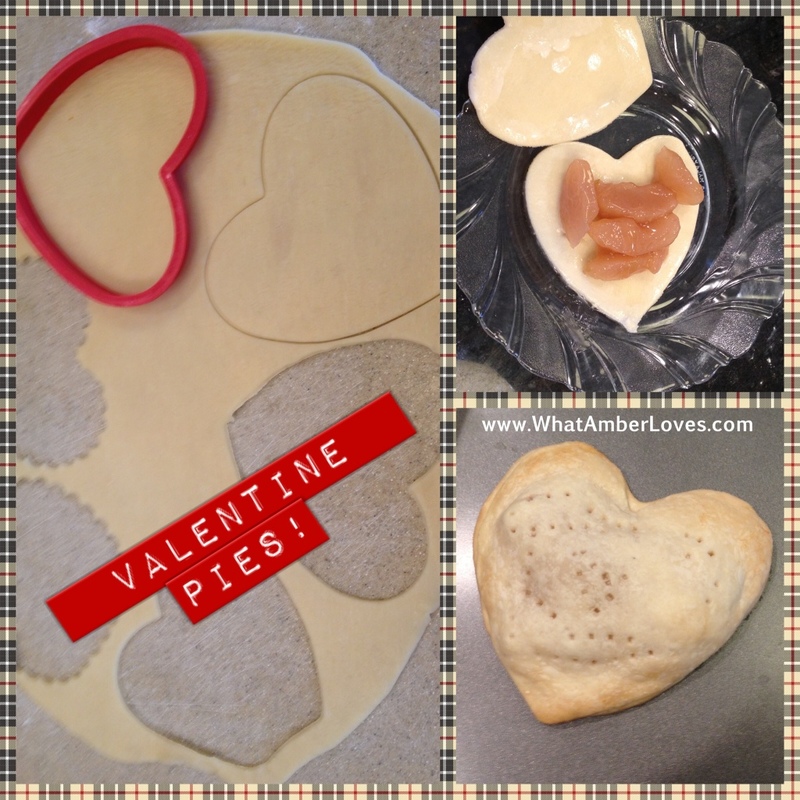 We made little, individual heart-shaped pies. Yum. 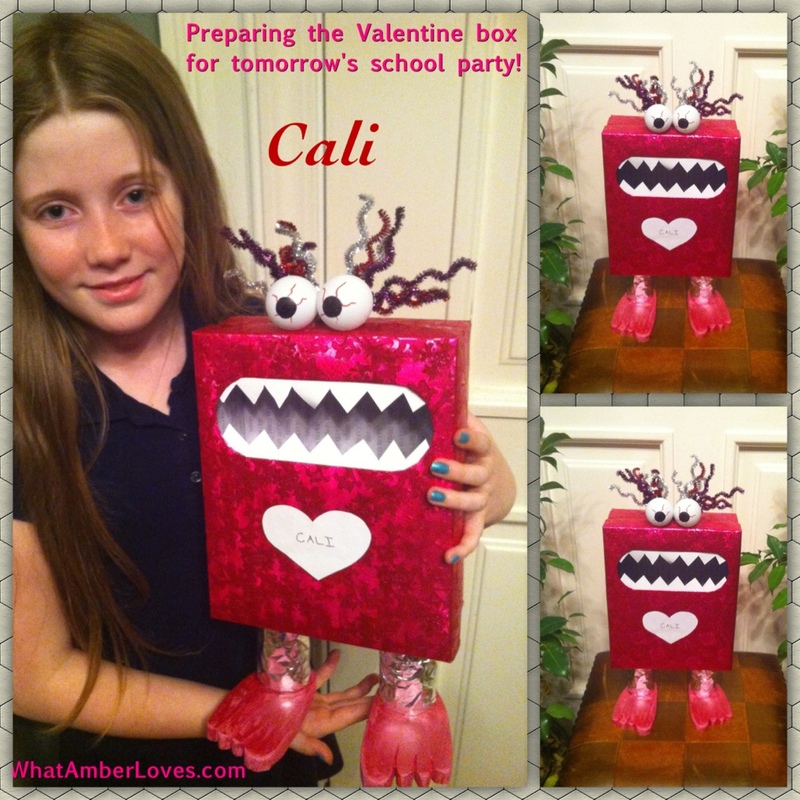 Last night, our oldest daughter made her Valentine box to take to school. I think it turned out really cute! Love Bug, Monster, or just plain silly . . . whatever you call it, I’m proud of her and her little creation! She used a shoebox for the main body, covered it in wrapping paper. The legs are cardboard toilet paper tubes covered in aluminum foil. The eyes are ping pong balls. The feet are cut out of scraps of foam leftover from one of Mitch’s upholstery projects. Sign Vinyl teeth and pipe cleaner hair! Love it! This morning, the girls woke up to find balloons and candy from their Daddy before they went to school. Mid morning, I was called to pick Abigail up from school. Coughing and fever. Boo. I took her to the doctor, and she tested negative for strep and flu. Hopefully her respiratory infection will pass quickly. After school, Cali went to a skating party with her friends. 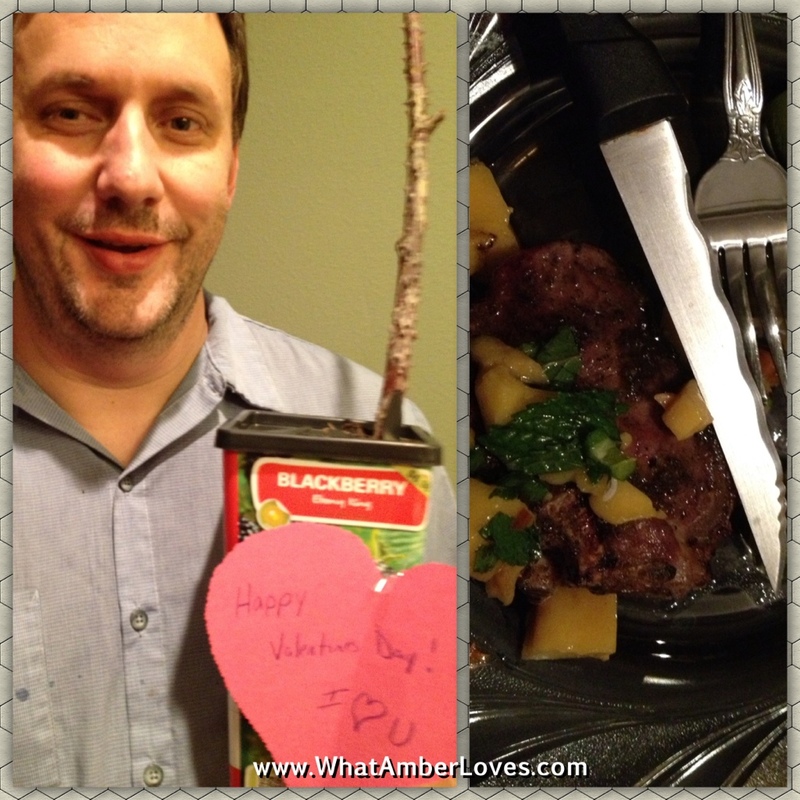 Mitch brought this to me when he came home from work. It is a new blackberry for the backyard. 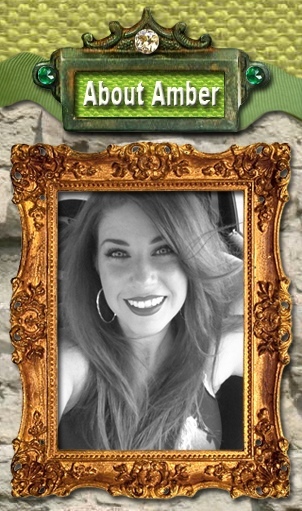 I hear it comes with a guy willing to plant it for me and possibly the option to buy more of them this weekend! Does he know me, or what? Love. Tonight, Mitch grilled lamb (my favorite) for me. Tonight as I’m sitting here about to make this post, Abigail wow’d me, again. I love the world through her eyes. She thanks me for her new heart socks that she wore today. I agree. 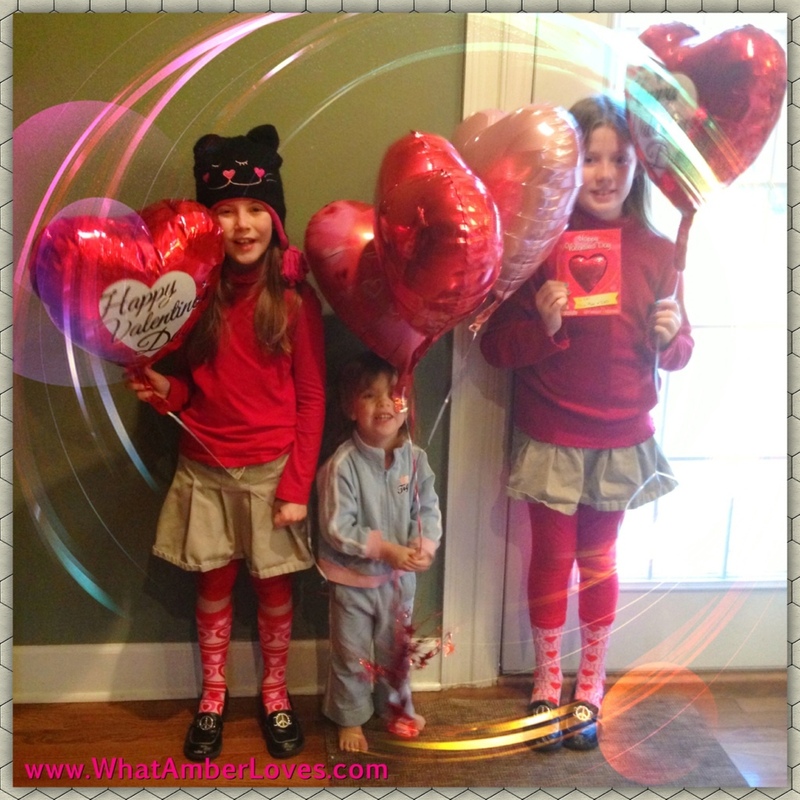 Wear your heart socks all year sweet Abigail! Posted on February 14, 2013, in Uncategorized. Bookmark the permalink. 1 Comment. I love reading your posts!! You all are an awesome family! !